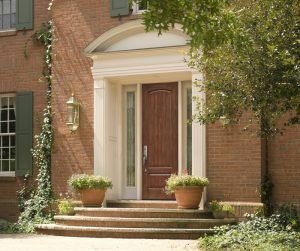 American WeatherTECHS is the premier provider of top-quality exterior doors for homeowners in Cincinnati, Columbus, and all nearby areas in Ohio. We understand that doors need to be more than simply functional and that entryways are oftentimes the most noticeable points on the entire home. Nothing less than products that provide the ultimate in security and beauty will do, which is why we only install exterior doors from trusted manufacturers such as ProVia and Larson. Entry doors from ProVia – Available in fiberglass and steel, these doors are among the most durable and energy efficient available on the market. Plus, they are completely customizable, with availability in several colors, patterns, and textures, along with numerous glass and hardware options. Preservation series patio doors – With best-in-class energy efficiency, a weathertight design, wide viewing areas, and plenty of customization options, these patio doors make an excellent addition to any home. Storm doors from Larson and ProVia – Functionality doesn’t have to come at the expense of style. These storm doors are incredibly durable to provide the ultimate protection to homes. However, they also come in many different styles and have available features such as retractable screens to let the breeze in on beautiful days. In addition to offering the finest exterior doors, at American WeatherTECHS, we provide top-notch installation service. We have earned numerous accolades over the years, including a place on Qualified Remodeler’s Top 500 list multiple years in a row, so you can trust in the quality of our work. 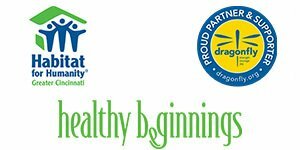 We’ll provide up to a two-year labor warranty in addition to passing along the outstanding lifetime transferable manufacturer warranty on many of our entry and patio doors. To learn more about the exterior doors American WeatherTECHS installs on homes from Cincinnati to Columbus, OH, contact us today.